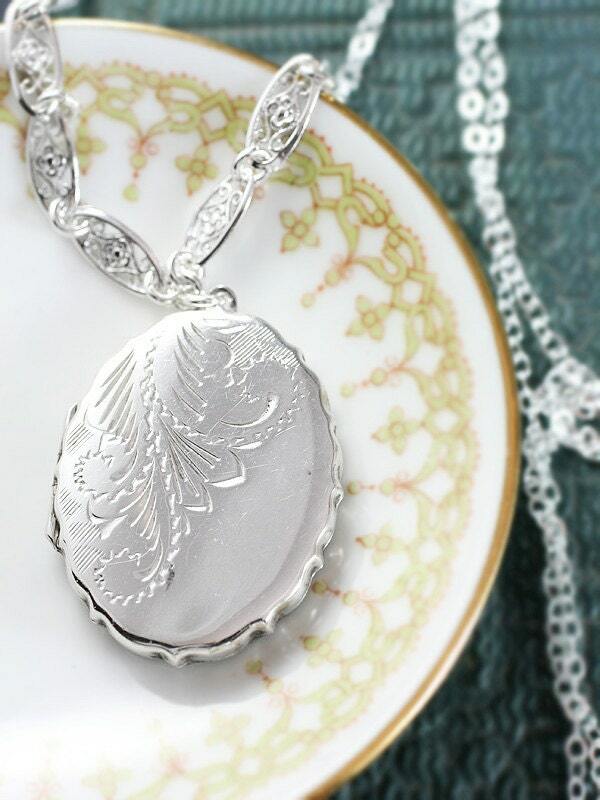 A gorgeous vintage locket is engraved with swirls sweeping down from the top of the design. 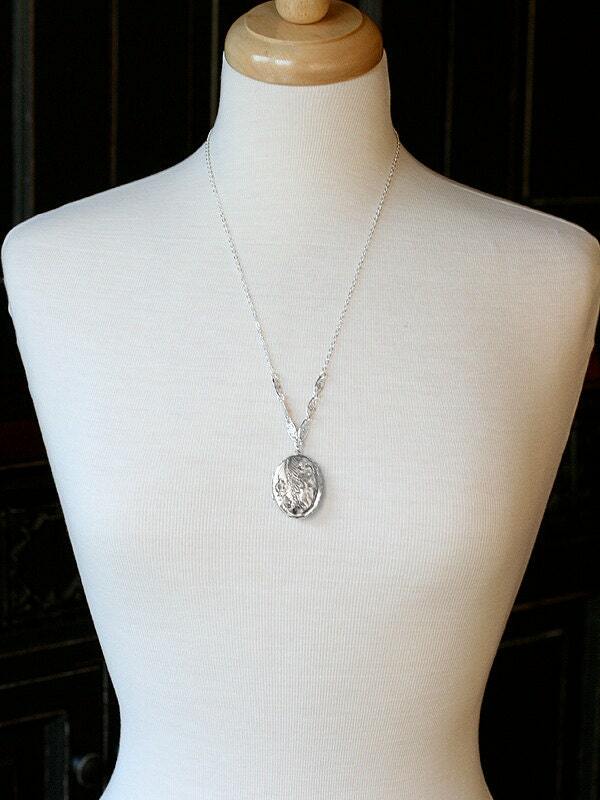 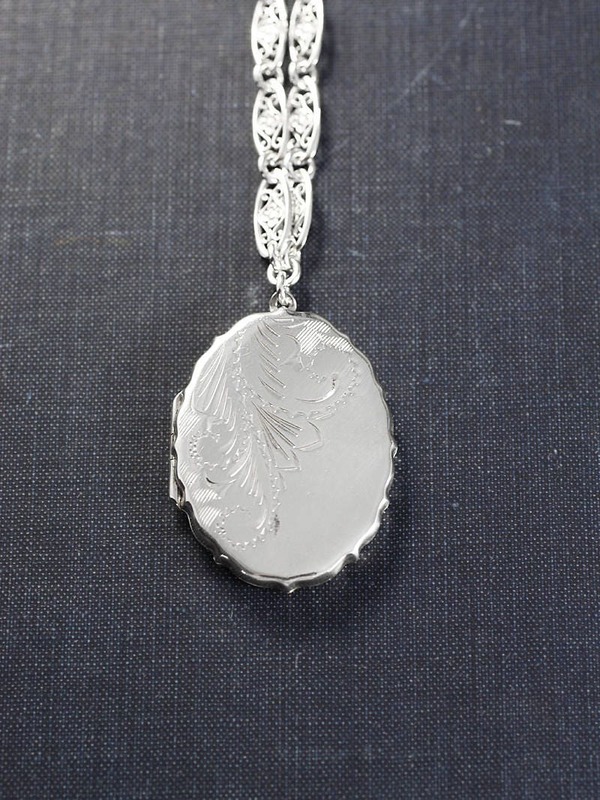 The engraved vintage pendant is fashioned as an oval with unique scalloped edges. 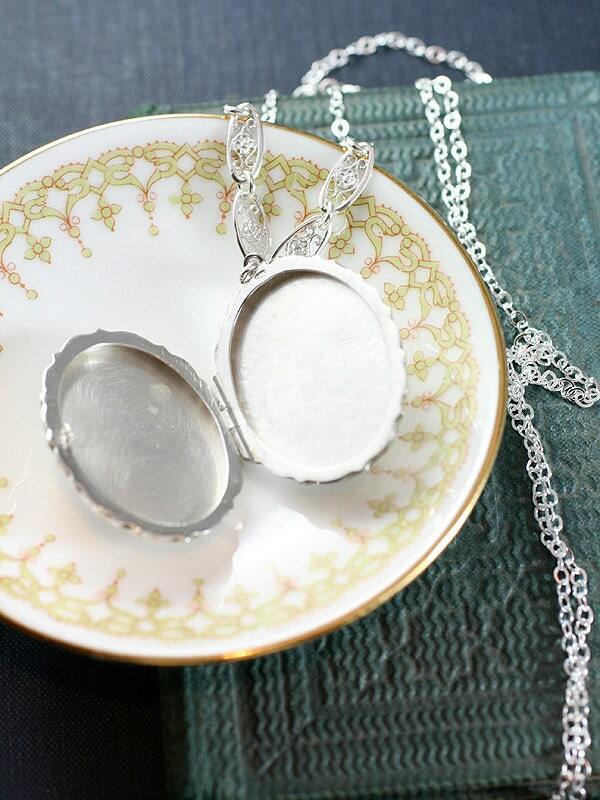 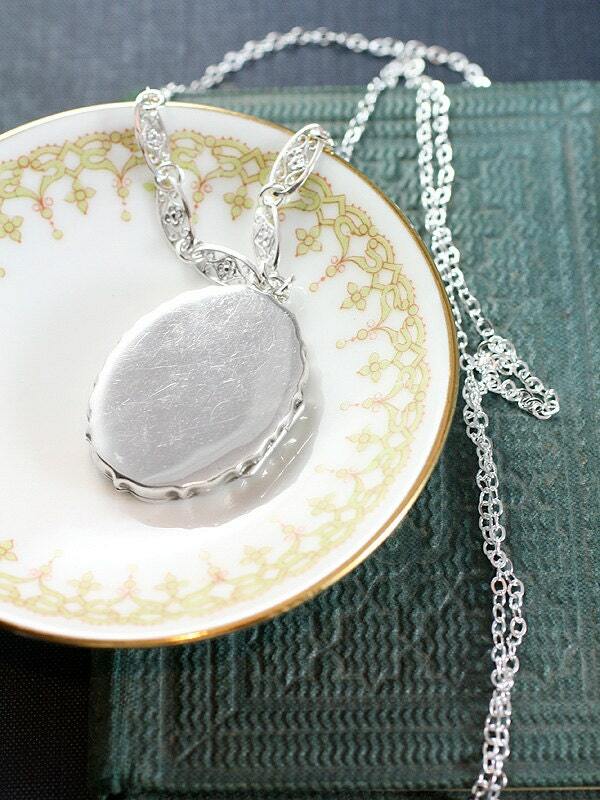 The locket opens to reveal two "frames" ready for beloved photographs to be slipped inside. 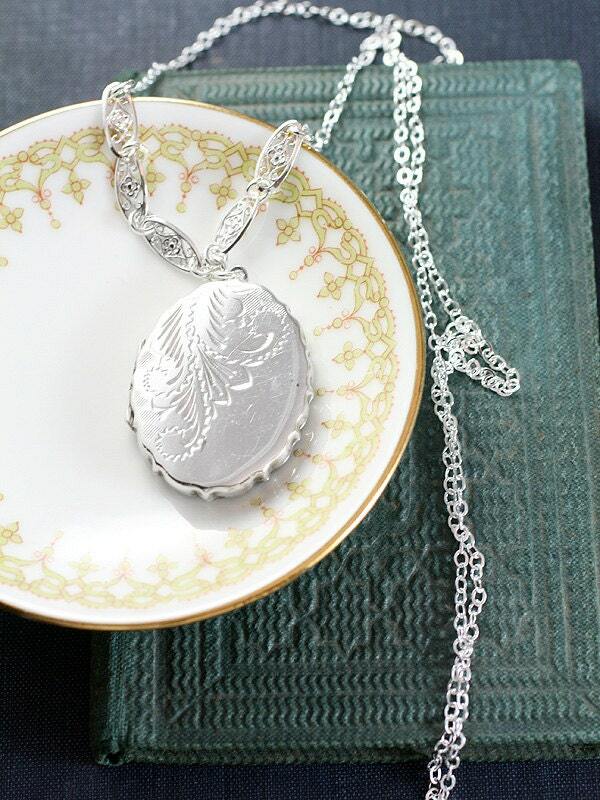 The vintage pendant dangles from a new chain of sterling silver hand set with filigree details and finished with a trigger clasp and ring.